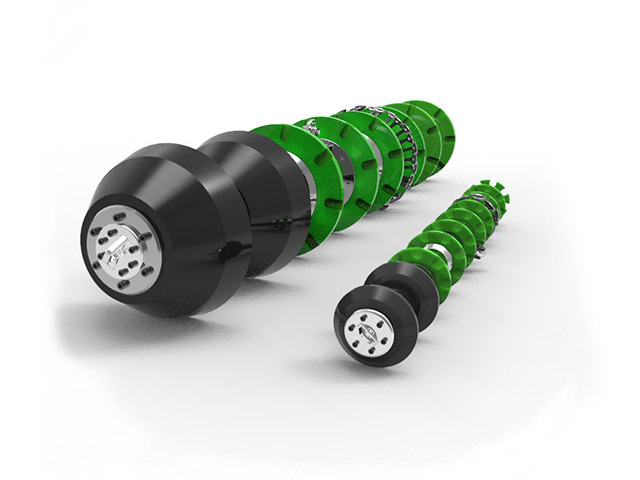 Available in sizes 3”thru 14”, RS-Deformation tools have highest geometry sensor density with guaranteed 100% plus pipeline coverage and multiple rows of low mass sensing fingers. With multiple rows of deformation sensors and highest number of direct wall sensors, no anomaly gets past RS-Deformation. Low mass, linear response sensing fingers mean lower time constant resulting in minimal over-calls during speed excursion and higher overall precision. RS-Deformation tools are capable of negotiating 30% or more restrictions and most 1D Radius bends. Light weight tool construction mean low friction and reduced pressure – flow requirements. RS-Deformation is based on EnviroCal’s time tested revolutionary operations model. RS-Deformation tools are also offered with no technician resulting in incredible cost savings. RS-Deformation tools have Inertial mapping capability to provide you XYZ location to your pipeline features and anomalies.